Thursday 10th December 2015, 8 p.m.
"When I die and go to heaven, I hope it looks like the Ale House with heavenly music & Jan's mince pies." "Great evening. 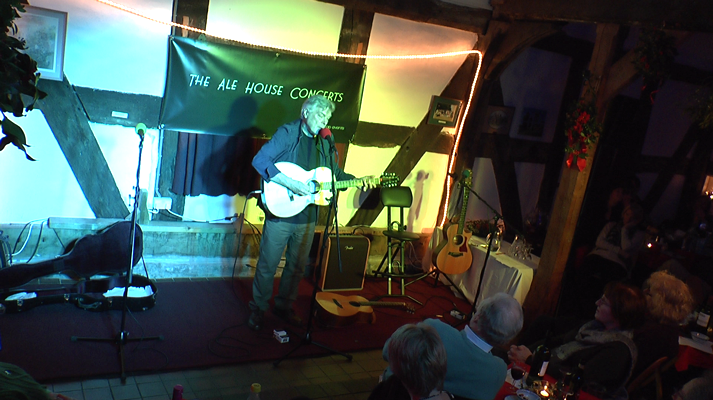 Both acts were very good though Steve Tilston was outstanding/amazing/on top form..."
"It's like a private party among friends. Enjoy the banter. Lovely decorations. Yummy mince pies. Love the choruses." "Absolutely brilliant! 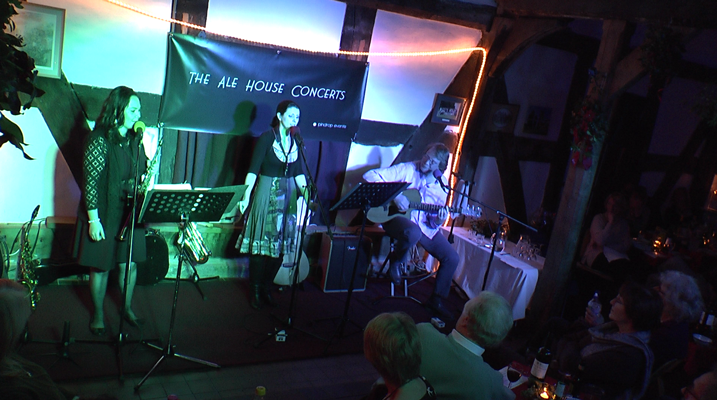 Both sets were a pleasure to listen to & the mince pies were delicious & a nice Christmas touch." 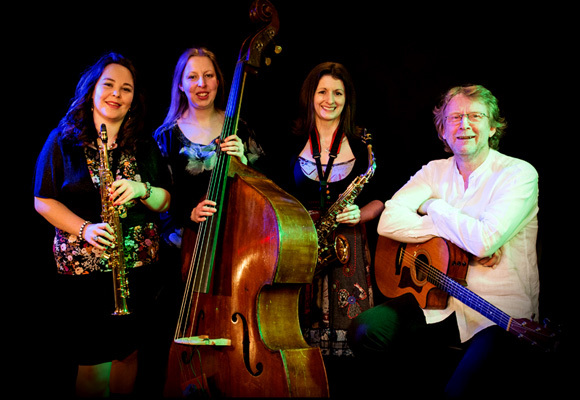 "Quite beautiful - what a spectacular duo of singers + great guitar, sax etc." "Lovely venue, beautiful atmosphere / decor." Ray Stroud. He is a favourite amongst his peers too with Richard Thompson, Dave Pegg, Ralph McTell, Chris Smither, Wizz Jones, Robin Wlliamson and Bert Jansch among others having had nothing but good things to say about him. His songs have been recorded by various artists including, Fairport Convention, Dolores Keane, The House Band, Peter Bellamy, North Cregg, Bob Fox and Les Barker. Here’s to Tom Paine is the adopted theme song for the Tom Paine Society of America and we’ve lost count of the number of versions of The Slipjigs & Reels! Born in Liverpool and raised in the Midlands, Steve Tilston is one of our most celebrated song-smiths, in a career now amazingly spanning forty-five years and counting; he has become widely recognised within the world of folk and contemporary music: the words, arrangements and subtle but quite superb guitar playing could be no one else. Steve made his recording debut in the early seventies with the classic An Acoustic Confusion and has been turning out quality albums ever since. Life by Misadventure, And So It Goes, Solo Rubato and Such and Such all featuring first-class song writing, quintessentially English in style and typically Tilston, marking him out as one of this country’s finest writers, whilst Swans at Coole, an instrumental recording, is testament to his guitar virtuosity. He’s also released a “best of” anthology The Greening Wind and a live album Live Hemistry. His 2005 release Of Many Hands is his first all-traditional album. In 2006 he joined an illustrious band of guitarists (Martin Carthy, Wizz Jones etc.) recorded on DVD in the Guitar Maestro series and the following year was given the boxed-set treatment! 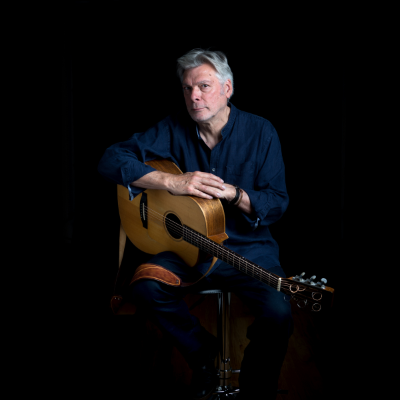 Produced by Free Reed Records, the company behind the Richard Thompson anthology, Reaching Back: the Life and Music of Steve Tilston is a timely celebration of an illustrious career.